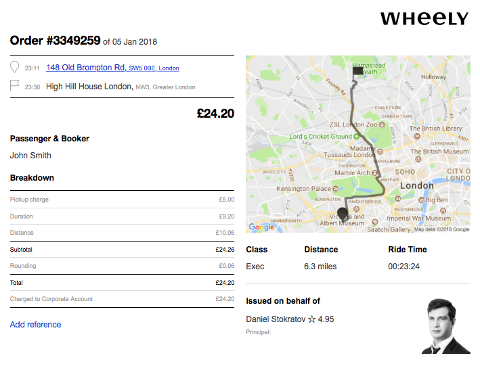 FAQ | How do I view the receipt for my journey? Help Payment How do I view the receipt for my journey? Simply open the app menu, tap Ride History and select the relevant journey. 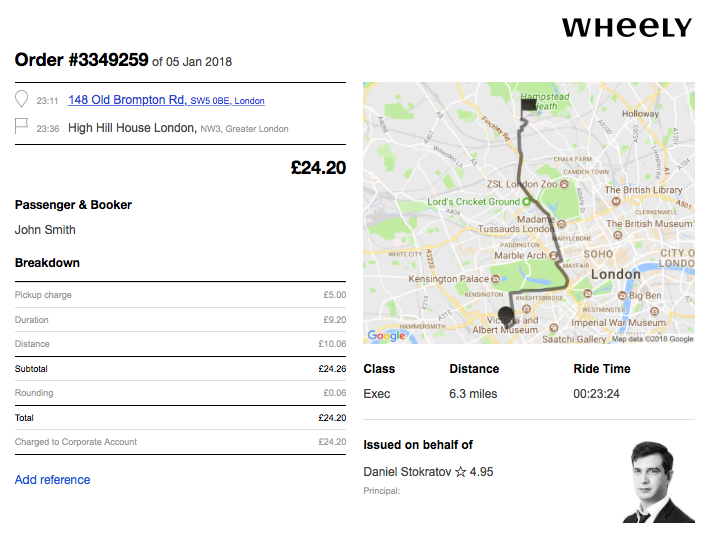 Wheely also emails a receipt for every journey to the address used in your profile.